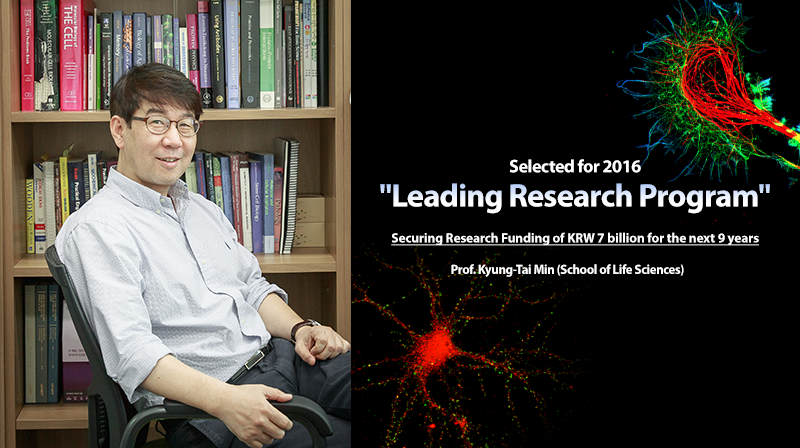 Professor Kyung-Tai Min of Life Sciences at UNIST has been selected for the 2016 Leading Research Program by MSIP. Contributing to the nation's economy and the development of new technologies. 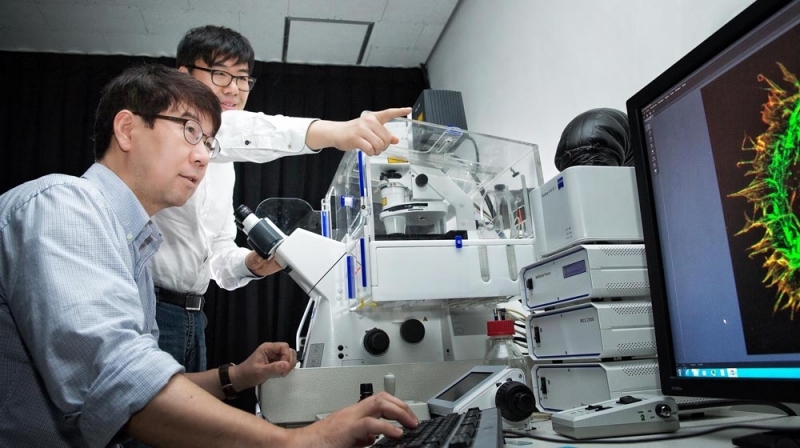 A new study, affiliated with UNIST is expected to open a possible new route for treatment of diseases caused by abnormal proteins, as well as neurodegenerative diseases. Professor Kyung-Tai Min of Life Sciences at UNIST has been awarded a substantial research grant (KRW 7 billion grants) from the Korean Ministry of Science, ICT and Future Planning (MSIP) to undertake an ambitious project aiming to significantly enhance the drug discovery process for targeting and inhibiting abnormal protein molecules in living cells. The project, which Prof. Min will undertake for the next 9 years, will be supported by Basic Science Research Program (Leading Researcher Program: Creative Research) through the National Research Foundation of Korea (NRF) funded by the Ministry of Science, ICT and Future Planning (MSIP). Generally, protein synthesis occurs in cellular structures, called ribosomes found out-side the nucleus. However, the many proteins that function in the nucleus are synthesized in the nuclear compartment, leading to the discoveries that the synthesis of specific proteins takes place within the cellular nucleus. The project seeks to help understand the underlying cellular and molecular networks in normal and dysfunctional neurons affecting distinct brain functions. 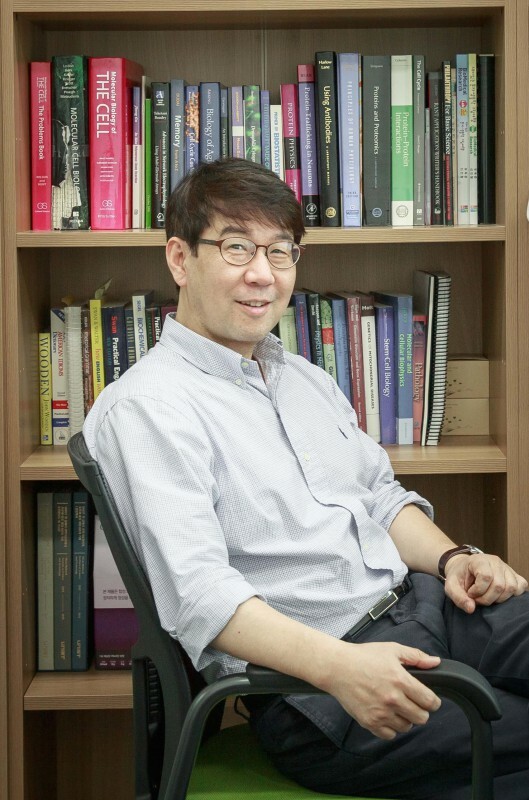 In the study, by providing a full understanding of protein function, Prof. Min hopes to demonstrate his hypothesis that the process of the protein synthesis takes place in the nucleus. The Leading Researcher Program by the MSIP is designed to support in-depth research by world-class researchers, as well as to foster global leaders with creative and innovative ideas. A total of 8 research teams, including Prof. Min’s team have been selected for the second half of 2016’s Leading Researcher Program: Creative Research.